Looking for an Arabic boy’s name that might wear well in the English-speaking world? Here’s a possibility. Thanks to Kenneth for suggesting Tahir as our Baby Name of the Day. When Kenneth first suggested the name, I hesitated over the spelling. Arabic uses a different alphabet, of course, and so there are often multiple ways to transliterate any name – or word, for that matter. So which is most common? It seems like the -ir ending is preferred in Turkey and Pakistan, while the -er is favored in Egypt. Which means, of course, that the name is widely recognized throughout the Arab world, as well as neighboring countries. The name is said tah HEER. I do think that Tahir is probably the better spelling in the US, if only because Taher seems to suggest a different pronunciation. Tahir means virtuous or pure. That puts this name in the company of so many meaningful choices. But there’s also a spiritual sense to the word. The Quran stresses the importance of purity, especially prior to worship. It isn’t just about cleanliness, but about faith and respect, too – powerful dimensions for the name. Feminine form Tahirih – also spelled Tahira – was a title given to nineteenth century Iranian theologian Fatimah Baraghani – The Pure One. Baraghani was well educated by her father, and became an accomplished poet, and then an early advocate of the Bahai faith. She was placed under house arrest, and ultimately martyred for her faith. While Tahir is not widely familiar in the Western world, it has plenty of history. Back in the ninth century, the Persian Tahirid dynasty ruled a large area that once stretched as far as modern-day Baghdad. They were part of the Abbasid caliphate, founded by a military commander named Tahir ibn Husayn. The dynasty flourished through his sons, including Abdullah. Abdullah was popular, known for his diplomacy and his promotion of agriculture. The dynasty had crumbled by the fourth generation, but there’s little doubt that Tahir has a long history of use as a given name. 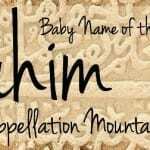 In the US, we first hear Tahir as a given name in the 1970s, and it’s been given to between 40 and 60-some newborn boys every year of the 21st century. Spelled Taher, it’s been much more rare, though there were fourteen newborn Tahers in 2014. 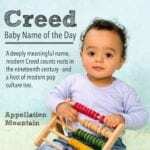 It’s sometimes heard as a surname name, from the same origins as the given name. Pakistani-American actor Faran Tahir appeared in the first Iron Man movie. Other Arabic names like Tarek have been on the rise in recent generations. Tahir’s sound and spelling are reasonably straightforward. We’ve loved names like Taylor and Tyler. With the ‘r’ ending, Tahir fits right in. There’s also the possibility of shortening Tahir to a more conventionally American nickname, like Ty. Former professional hockey player Tahir Domi was the son of Albanian immigrants. He grew up in Ontario, Canada. He’s known as Tie, and is somewhat notorious – he holds the records for most penalty minutes earned by any Toronto Maple Leafs player. Add in a long list of scholars, politicians, and athletes from throughout the Arab-speaking world, and there are plenty of men who might inspire parents to use the name. If you’re after something international that would wear well in American English while remaining true to Arab roots, Tahir is one to consider. What do you think of Tahir? Do you think it would wear well in the US? My husband’s name is Ta’ir. Quite often, when he introduces himself, men will repeat back “Tiger”? It’s pretty silly because the emphasis in Ta’ir is on the second syllable, not the first as in Tiger. When saying the name quickly, it comes of as Tayir. I love his name, and find it to be strong as he is. My name is Onawa, from my Ojibwe heritage from 3 grandparents. I’d love if you did a post on Onawa.